Download only if your application requires ISIS driver. Above TWAIN/WIA driver also required for driver installation. This download includes Windows device driver(s) required to operate DocuMate 4700 scanner in combination with DocuMate 4790 or DocuMate 4799 scanners. It includes applicable TWAIN, WIA, and ISIS drivers for DM4700. Automatic Intelligent Image Correction Software for DM4700 in combination with DocuMate 4790 or DocuMate 4799 scanners. 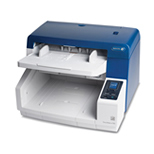 The purpose of this document is to assist in the installation/upgrade/set-up of Xerox® DocuMate® scanners (models DM4700/DM4790/DM4799/DM6710) and their associated drivers/software for correct functionality with Xerox® FreeFlow MakeReady® software.